There are a variety of characteristics within both craft and domestic beers. But which one do you think is better? In this blog, we will touch on the different characteristics to determine what we think! Domestic beers are light yellow in color and range from light to medium shades of yellow. When you pour domestic beer, you will notice the head of the beer doesn’t last long. These foaming bubbles are carbon dioxide that rise to the surface of the glass. Temperatures are kept extremely cold, as to anesthetize the tongue, in an effort to mask the off flavors. When it comes to the taste of domestic beer, it has a bland flavor due to the ingredients that are used. This type of beer uses rice and other ingredients, which makes domestic beer inexpensive. The characteristics of craft beer greatly differ from those of domestic beer. Craft beers are made in small brewery, independent, and or traditional. A small brewery distributes no more than 6 million barrels of beer per year. An independent brewery is one that a non-craft beer brewery owns 25 percent or less. A traditional brewery is one that produces beers using traditional brewing ingredients. At the end of the 1890’s, America boasted a whopping 4,000 craft breweries, but prohibition was around the corner, and with it, the near extinction of locally brewed beer. In fact, when the Craft beer resurgence occurred in the early 1970’s, the number had dropped to near 200. Now…there are currently over 4,500 craft beer breweries in the United States! What Is the Difference Between Craft Beer and Domestic Beer? The major differences between craft and domestic beer are appearance, taste and corporate business structure. Craft beer ranges from pale, light colors to various shades of amber and darker shades. Unlike with domestic beer, craft beer does not have a lot of carbonated bubbles, which helps with a clear appearance and crisp taste. The other dividing factor, an important factor, is taste. Domestic beer uses common ingredients, most of which are inexpensive and does not offer a variety of flavors, found in varying grains, hops and yeast. Water, which accounts for more than 85 percent of this beer’s content, is a distinct variable in Craft beer as well. Craft beer uses wheat, oats, rice, rye, water, barley, malt, and more. All the ingredients used in both craft and domestic beer come together to create a unique taste. Domestic beer offers a plain, bland taste that does not change much and often has a sour aftertaste due to the ingredients that are used. 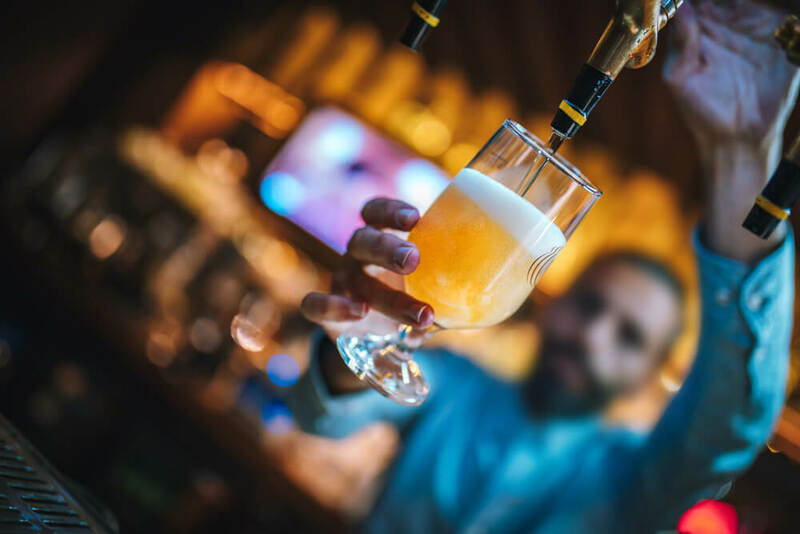 Craft beer offers a variety of flavors not only due to the number of ingredients used, but also the process that is used. Craft beer is better than domestic beer because it is not mass produced, so more time is focused on taste and not watered down. Craft beer, contains more alcohol, about 5-10 percent alcohol by volume vs 3.5 percent alcohol ABV offered by domestic beers. Craft beer offers more health benefits than your average red wine. This type of beer offers many different B vitamins, mostly folate. Craft beer is less expensive (per / percentage alcohol) and has more variety. As you can see, craft beer is better for you than domestic beer for many different reasons. Wanna come test out a flight? Swing by Parker County Brewing Company to sample some local crafts!